The world’s fourth-most populous nation and the largest economy in the ASEAN region, Indonesia offers strong growth opportunities for investors in the food and beverage sector. The sector, which generated 6.1% of the country’s GDP in 2017, expanded faster than the overall economy in the 2014-2017 period. Growth is supported by increasing disposable incomes, a growing middle class and rising urbanisation levels. Indonesia is a major food producer, ranking among the top world producers of palm oil, natural rubber, cocoa, coffee and rice. However, the country has struggled to achieve selfsufficiency in key food staples. The country is also a net importer of food and beverages as the sector needs to import a significant share of its raw materials. 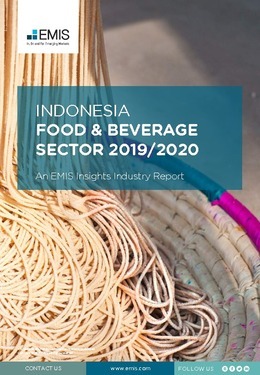 This report provides a complete and detailed analysis of the food and beverage sector for Indonesia. EMIS Insights presents in-depth business intelligence in a standard format across countries and regions, providing a balanced mix between analysis and data. Build a clear picture of production, consumption and prices for specific sub-sectors (e.g. meat, dairy and beverages).